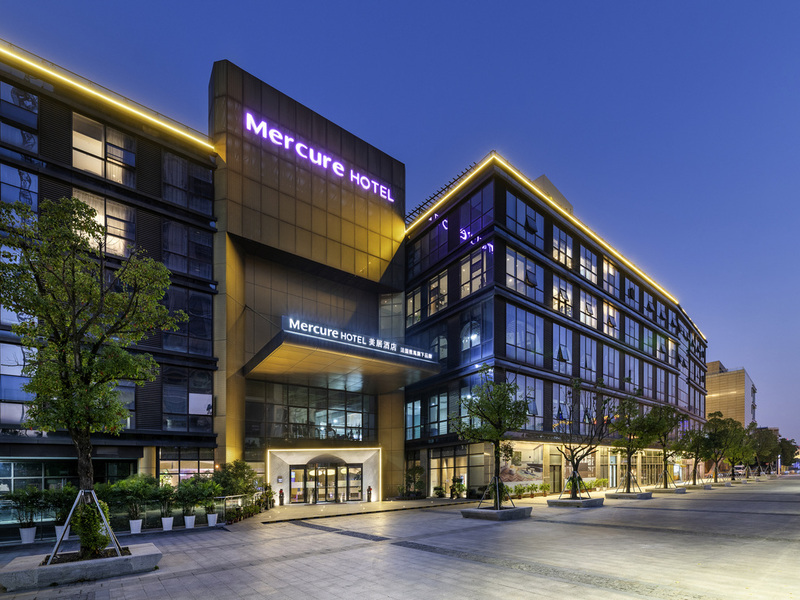 Located opposite Wanda Plaza, the 175-room Mercure Suzhou Downtown is only 1 km from Suzhou Railway Station and 0.2 km from Subway Line 2, with hospitals, government offices and banks all within a 2 km radius. With its elegant design, bespoke attention to details, thoughtful amenities and warm service, the hotel ensures a great stay experience for both business and leisure travellers. Our restaurant on level 5, features a French breakfast corner and blends Eastern delicacies with Western gourmet food. Our delicious and healthy breakfast helps our guests to start each day energised. It is also available for events of up to 70 people. Our Lobby Lounge on the ground floor draws guests in with tantalising fragrance of coffee and premium red wines available exclusively at Mercure hotels. Indulge in the lingering aftertastes, as the elegant surrounding melts your stress away.